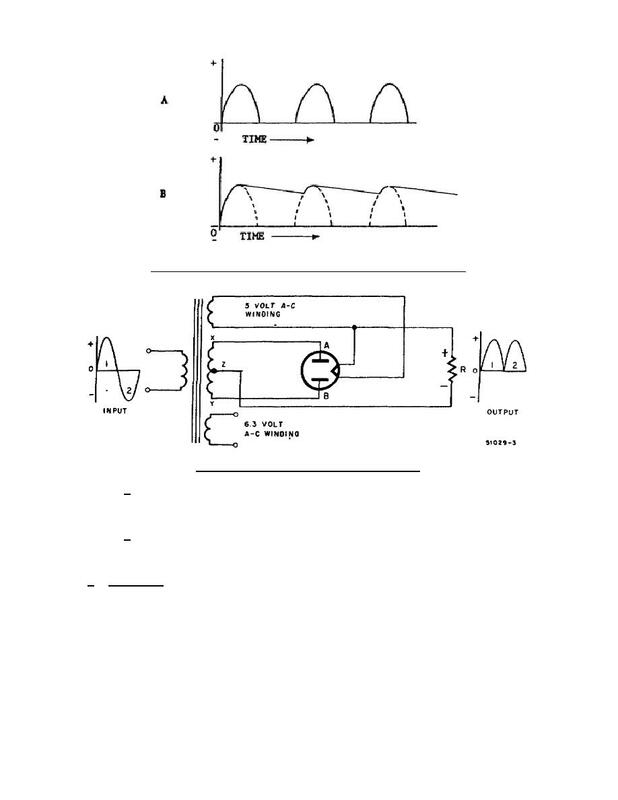 Effect of filter capacitor on waveform. rectifier. Again, filtering will result in a near-steady dc output. output voltage can be filtered into a steady dc voltage. is developed across the volume control and sent to the AF amplifier. (2) The circuit in B of figure 1-9 is similar to the circuit in A.